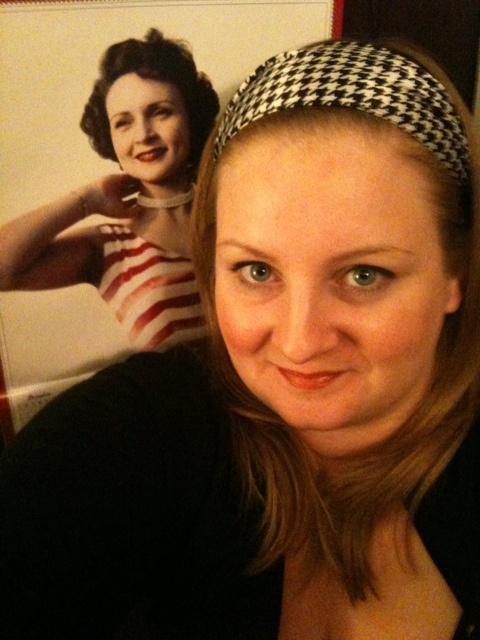 Here I am posing with a gorgeous photo of Betty White from the calendar Christine gave us. Kristyn said I look like a chola and she isn’t wrong. Hey if there is a place to look like a chola, right here is it as we are like two seconds from Echo Park. Just call me Giggles. And here is Kristyn already willing herself back to sleep. She has to go to her internship in the morning and has been sleepy for a while now as it is. buberella • This entry was posted in 365 Face Project, Blah, Buffytimes, California, Inspiration, Kristyn, Oh snap!, Stupid crap I've done but am too dumb to keep quiet about, The Hard Luck Diaries, Uncategorized and tagged 365 Face Project, Blah, California, Drama, Haterade, Haters, Inspiration, Kristyn, LA, OMG, Pictures. Bookmark the permalink.